Stonyman Gourmet Farmer tarts and quiches were selected by the Washington Post for its 2015 "Top Gift Ideas for the Food and Drink Lover." 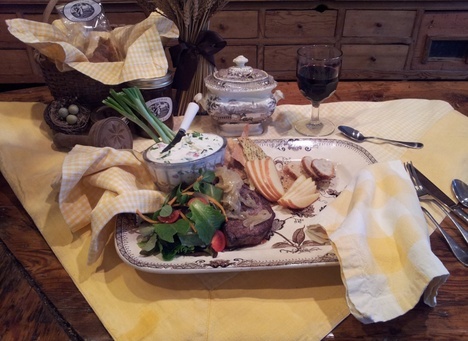 Stonyman Gourmet Farmer offers delectable farmhouse choices for feasting at home, entertaining and for family meals. Our farmhouse foods are culinary classics that recall country feasts. They are healthful and easy to serve. These small batch foods are made with ingredients that meet exacting requirements for taste and nutritional integrity. Our focus continues to be on savories in the tradition of Virginia and French country cuisine. We also offer a selection of custom meats in specialty cuts and roasts, aged to order, including local beef, lamb and pork. Ask about our Catering Services or how we can help you shine at your next Special Event! Copyright: Stonyman Gourmet Farmer, 2010, All Rights Reserved.